Excommunication in the Church of Jesus Christ of Latter-day Saints nullifies a person’s priesthood ordinances. To a faithful, believing member, this means spiritual death. It means separation from one’s forever family and an eternity away from God. A corporation is well within its rights to remove an affiliate that’s hurting its bottom line. A social club may expel members that resist demands by the leadership. A proprietor may evict a tenant who fails to pay rent and a merchant may deny services to a client who can’t afford the cost. In these contexts, individuals must adhere to the terms of transaction or lose the right to receive certain benefits. But the Church professes to be more than a corporation, a club, a rental home, or a vendor of salvation. By its own admission, it is a resting place for the weary, where the spiritually hungry may find relief. It is designed specifically for the confused, the dissident, and even the apostate. What does it mean for deviants like me when the church rejects men and women who don’t walk the beaten path? If the church doesn’t have room for people who criticize a community they love in order to improve it, then how could it possibly have room for me? Jesus demonstrated the inclusivity of his ministry when he rejected intolerance couched in the language of religious devotion. He embraced the sick, the healthy, the doubting, and the sure with equal measure. He passed his time with sinners and snubbed the hypocrites. There is no hierarchy of love in the gospel of Christ, and there is no place for punishing doubt within the church that bears his name. Thanks for this framing. In the past I had used the “groups write their rules; if you don’t adhere to them, don’t be surprised when you’re asked to leave.” However, as I’ve gained more experiences, this analogy didn’t sit right with me. Thank you for helping me see & understand the dissonance I was feeling! Thank you for your kind comment! And thank you for reading! You completely forget that Christ was completely against false doctrine. Christ was not unconditionally accepting of everyone and their beliefs. If ye love me keep my commandments. Openly disobeying the prophet of God is not obeying the commandments. This post is just an attempt to paint a Christ that suits your beliefs. I’m talking about unconditional love. The Jesus I read about loved everyone and excommunicated no one. I would like to see a church with room for any man or woman who wants to call themselves a “Mormon.” As it is, the church is behaving like a corporation while calling itself a haven. If you were around in Jesus’ time, you would have called him an apostate and rejected all of his teachings, because they went against the leaders of God’s True Church at the time as well as the holy scriptures. Unless you believed what he said about “fulfilling the law,” which probably would’ve sounded to you like it would if Kate Kelly said she was a law unto herself. Give me one reason why I shouldn’t believe this about you, and every other hateful troll in the comments who puts “obedience” to the whims of their church’s leaders over Jesus’ kindness and empathy. Because Kate Kelly asked for bread, and they gave her a rock. I don’t trust church leaders to be perfect executors of “justice.” And I don’t see what good it does to excommunicate people, especially people like Kate, John, and Alan, who have helped a lot of members stay in the church despite their doubts. If we’re concerned with bringing people to Christ, why are we pushing them out? This is a really good talk that gave me some insight on what excommunication means. Could be useful for both sides of the conversation. Thank you so much for linking that article. Sometimes, Christ’s statements on excommunication can seem harsh. (His statements in 3 Nephi 18:31, D&C 4:5, and D&C 85:11 come to mind.) 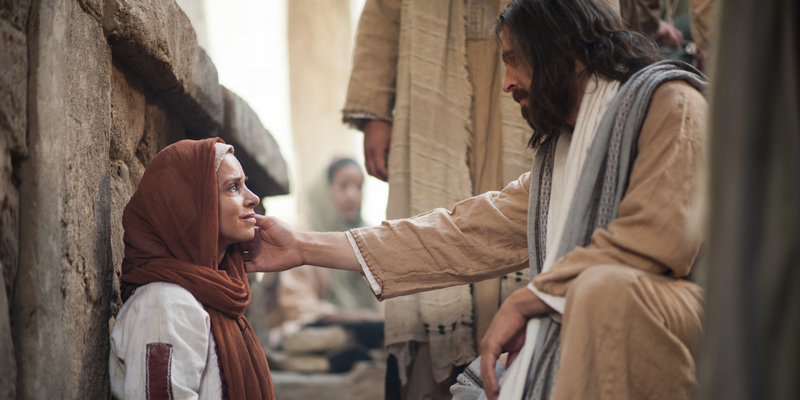 But this article by Elder Ballard shows how He uses discipline to teach and help us come back to Him. Thank you! Its not that the church is pushing people out. But if deliberately go against what the prophet is saying then you do not sustain him. Why would you want to be part of something that you dont even sustain? Why would Christ want people teaching false doctrine is His church? Its ok to have questions butto ddeliberately protest for a change that has already been addressed shows an unwillingness to accept an answer that’s already been given. Either that or president monson must not be listening to what the Savior really has to say. I know that isn’t happening. They love the church and the LDS community. What more reason do they need? This is about more than women’s ordination, as John Dehlin and Rock Waterman have also been invited to disciplinary courts. What has Monson said about women’s ordination in response to Ordain Women? “Some leave because…” No. Just no. Those of you who are still members of the church, but who mean to be respectful to those who aren’t need to stop assuming you know why people leave. Retire “anger” or “hurt” or even “doubting” as generic descriptors — they diminish entire lives into generalizations and judgments. Mormonism teaches people to judge those who are no longer members as “straying” or “sinners” and they act as if “they were offended” is fair judgment of why people change their entire world view. I keep seeing those of you who purport to be making an honest investigation of your church, and who say they believe in equality and not judging others, then turn around and fall back on the most shallow stereotypes of “ex” Mormons out there, the ones conditioned into you by the church, which you repeat like word vomit without examining what’s coming out of your own mouth. The reality is, former Mormons have legitimate reasons for making the choices they do, which often include but are not exclusively feelings of anger, fear, doubt, hurt, and being offended — by systemic abuses and/or genuinely offensive teachings. These reasons are condescended to or dismissed as if former Mormon’s feelings aren’t valid or serious in order *to protect the church and its leaders* from facing valid criticism. Don’t protect the very system you are challenging by regurgitating the vitriol that system taught you to spew. If you want to understand all the reasons, or even just a handful of the reasons, that people choose not to be members of the Mormon church (which, FYI, I have yet to see include “because I wanted to sin” or that involved sinning at all), go ask them. Or read their stories. Many thousands of stories — because that’s what it will take for you to begin to comprehend the real and complex reasons they walked away from an entire belief system. And if you’re not willing to ask them, then stop acting like you know. I’m sorry. I didn’t mean to sound presumptuous. I’m a former Mormon myself. I used the words I did because those are three ways I’ve seen my fellow ex-Mormons make their way out of the church. I certainly didn’t mean to imply that those are the only options, or even that my brief description remotely captures the complexity of a faith transition. I appreciate your comment and see how the words I chose seem reductive. out loads. I’m hoping to give a contribution & help other customers like its aided me.